It is replaced by the Intermec IF61. 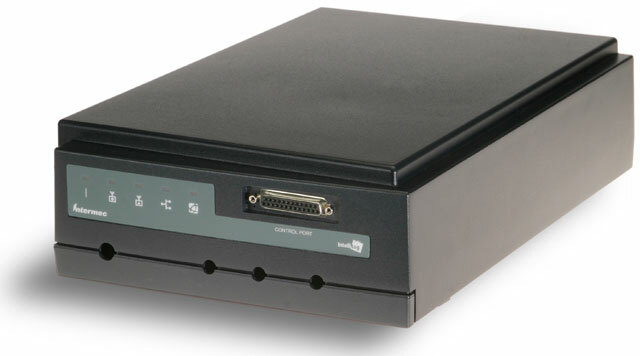 The Intermec IF5 fixed RFID reader can not only read and write RFID information but also uses internal processing to collect, filter and pass on RFID information to external applications via Ethernet or 802.11g wireless connections. This internal processing eliminates the need for specialized servers or other computers at the assembly line, shipping-receiving docks, or anywhere space is at a premium. The IF5 is factory-configured to operate at 869 MHz (Zone 1), 915 MHz (Zone 2) or 950 MHz (Zone 3), giving multinational enterprises flexibility and consistency.